An impressive short video about the Flathead National Forest was posted last week. See if you can identify the locations shown . . .
MTJF | Flathead from Your Forests Your Future on Vimeo. Appearing in the Flathead Beacon yesterday, was a thoughtful op-ed by Chris Ryan and Kathleen McAllister in favor of the recently completed Flathead National Forest Plan, written by a couple of folks who should know quite a bit about it . . . 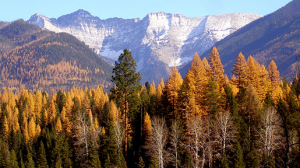 The U.S. Forest Service recently completed a new management plan for the Flathead National Forest (FNF) that will guide decisions on the forest for the next 20 to 30 years or more. 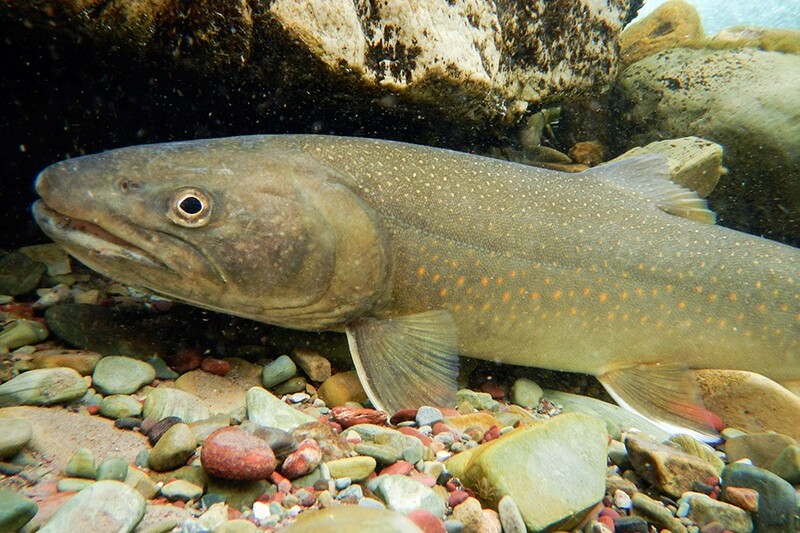 The plan addresses a dizzying array of management issues – including municipal watersheds, wildlife habitat, protected lands, outdoor recreation, and much more – over 2.4 million acres that cover the Mission Mountains, the Swan Range, and the Whitefish Range. Those of us in the conservation community have focused our attention on the places the FNF plan recommends for Wilderness designation. This recommendation means the Forest Service will protect these places until either Congress designates them as Wilderness or at least until the agency completes its next FNF plan. The FNF plan represents a vast improvement over the previous plan, which recommended around 98,000 acres for Wilderness. The new plan recommends over 190,000 acres, nearly double the previous recommendation. That increase is worth celebrating. The plan is by no means ideal for conservationists. Wilderness-worthy lands such as Bunker and Sullivan Creeks and low-elevation, critical habitat adjacent to the Mission Mountains Wilderness did not, unfortunately, receive the Forest Service’s Wilderness recommendation. The Jewel Basin recommended Wilderness was reduced in size under the new plan, a significant loss for a landscape that would have been designated Wilderness had Reagan not pocket vetoed the 1988 Montana Wilderness Bill. As expected, the new Flathead Forest Plan is drawing fire from some groups. An article by Chris Peterson of the Hungry Horse News does a good job of explaining the background and events leading up to a pending lawsuit . . .
Two environmental groups announced Monday that they have filed a 60-day notice of an intent to file a lawsuit against the Flathead National Forest over its new Forest plan, claiming it violates the Endangered Species Act. 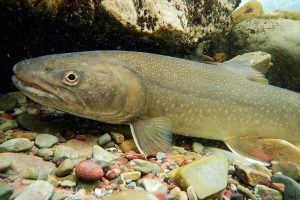 The notice of intent does not come as a surprise — the two groups have previously maintained that new plan doesn’t do enough to secure grizzly bear and bull trout habitat. They claim the new plan, just days old, is worse than the old 1986 plan because it no longer adheres to a provision in the old plan called Amendment 19. Under Amendment 19 of the previous plan, open road densities across the forest were trimmed substantially. Roads, quite literally, were purposely destroyed by the Forest Service, making them impassable to motorized use. Final Flathead Forest Plan signed! They did it! Flathead National Forest Supervisor Chip Weber signed off on the new forest management plan. The final “Record of Decisions” for the forest plan, and the associated Northern Continental Divide Ecosystem grizzly bear amendments were published in the Federal Register on December 27. 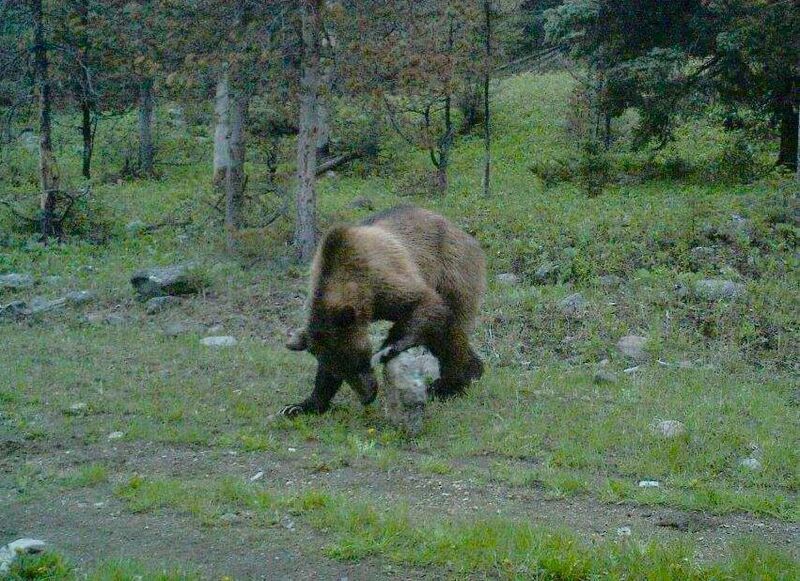 The region-wide grizzly bear amendments go into effect immediately. The Flathead Forest Plan takes effect 30 days after publication (on January 26, 2019, presumably) . . . The plan, more than five years in the making, covers aspects of forest management from timber harvest to wilderness areas to mountain biking. Forest Supervisor Chip Weber says the groundwork for the announcement was put into place before the government shut down, and represents the culmination of years of groundwork with a variety of groups, individuals and companies. According to this morning’s press release, the Flathead National Forest has a number of prescribed burns scheduled for this spring, weather and circumstances permitting. Two of these projects are on the North Fork. 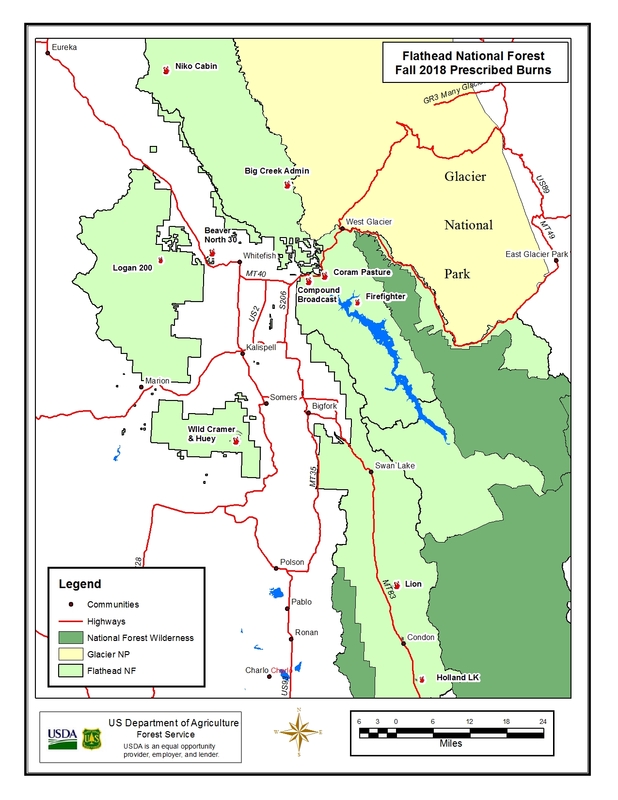 For more information about these projects, contact the Hungry Horse/Glacier View Ranger District at 406/387-3800. For specific fire ignition dates and times, follow the forest’s Facebook or Twitter profiles at https://www.facebook.com/discovertheflathead and https://twitter.com/FlatheadNF. Read the full press release for forest-wide burn project information. The Flathead National Forest is busy dealing with objections to their new forest plan. Some are a few paragraphs, some run hundreds of pages . . .
With one deadline past and another looming, Flathead National Forest officials will be working weekends to identify the issues raised in objections filed on a proposed land-use plan. They tallied 74 objections when the objection period ended Monday [February 19] on the plan that will guide future management decisions on the 2.4 million-acre forest for the next decade or longer. Over the next 90 days, the agency will work with different groups in an effort to resolve a variety of issues raised during a process that will be closely watched by those who care about the future of that landscape. Here’s the Missoulian’s take on the final draft of the new Flathead Forest Plan . . .
With the clock ticking on a 60-day objection window, people who play in the Flathead National Forest have a lot of homework to study. U.S. Forest Service analysts made many changes to backcountry areas in their draft forest plan released this month. The proposal recommends a new wilderness area between Whitefish and Polebridge. It might increase mechanized access around the Jewel Basin by Bigfork, and could affect hunter access in popular elk country. Lots of interesting reading; lots of useful links. Recommended . . .
Montana’s grizzly bears better hope they packed their reading glasses as they settle into their winter naptime: There’s a lot of homework to finish over the Christmas holidays. 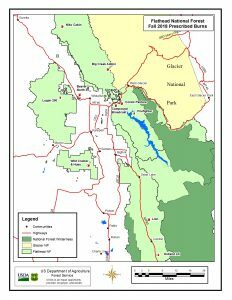 The Flathead National Forest Plan final draft, released Thursday, includes the proposed rules for managing grizzlies in four national forests that share management responsibility for the Northern Continental Divide Ecosystem. Public comments are due in mid-February. On Monday, the U.S. 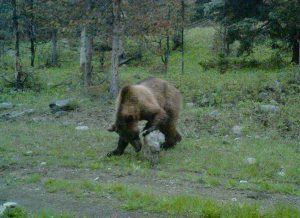 Fish and Wildlife Service put out a request for reviews of its draft criteria for habitat-based recovery of the NCDE grizzlies. That same day, it published four peer-review responses to the plan. It also announced a Jan. 3 workshop in Missoula to collect “the input of scientists, the public and interested organizations.” Written responses to the regulations are due Jan. 26.